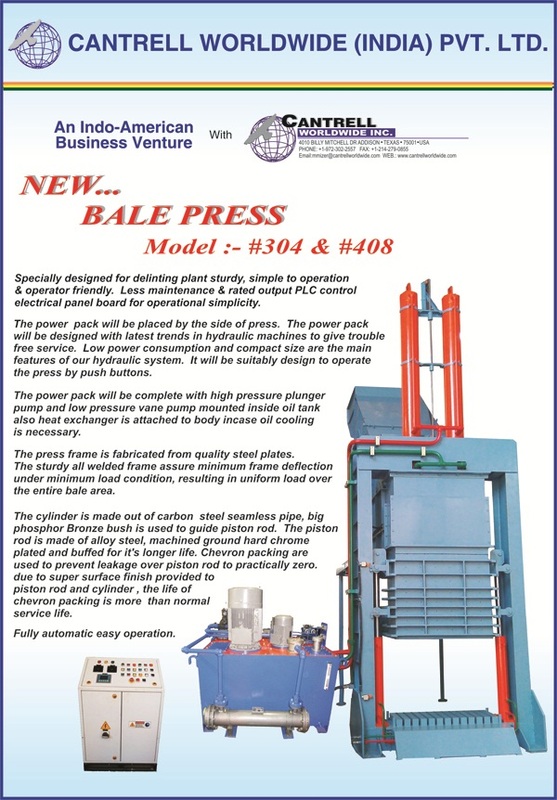 Specially designed for delinting plant sturdy, simple to operation & operator friendly. Less maintenance & rated output PLC control electrical panel board for operational simplicity. The power pack will be placed by the side of press. The power pack will be designed with latest trends in hydraulic machines to give trouble free service. Low power consumption and compact size are the main features of our hydraulic system. It will be suitably design to operate the press by push buttons. The power pack will be complete with high pressure plunger pump and low pressure vane pump mounted inside oil tank also heat exchanger is attached to body incase oil cooling is necessary. 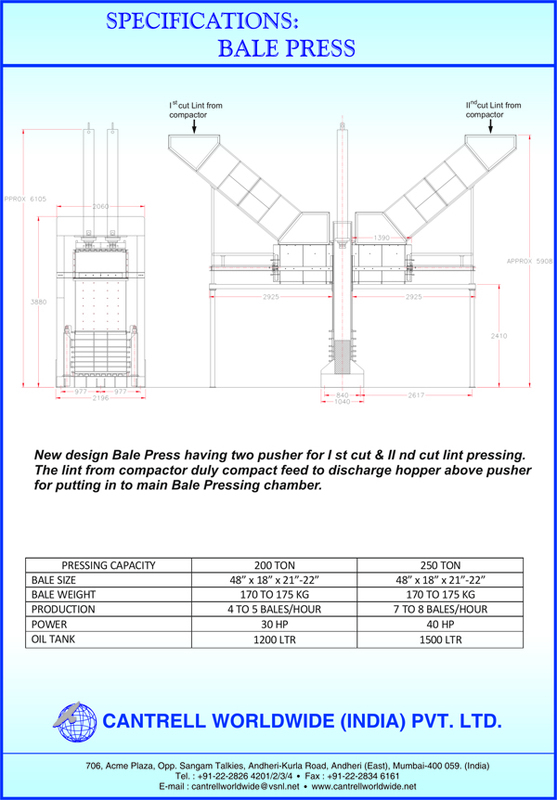 The press frame is fabricated from quality steel plates. The sturdy all welded frame assure minimum frame deflection under minimum load condition, resulting in uniform load over the entire bale area. piston rod and cylinder , the life of chevron packing is more than normal service life.